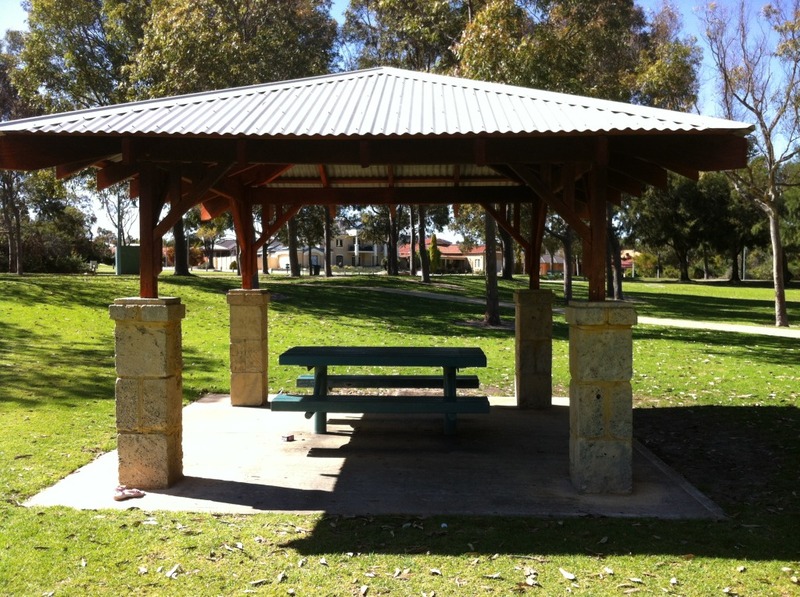 This is an excellent park located in Joondalup, about an hour north of the Perth CBD. 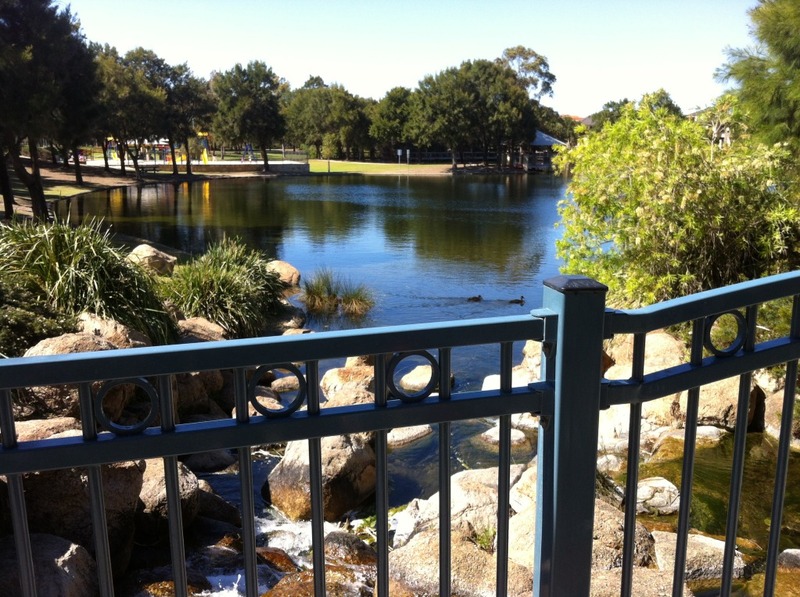 The park is a popular location for wedding ceremonies with an amphitheater for guests to assemble in, water features and wooden walkways perfect for photography after the ceremony. 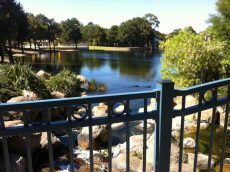 There are plenty of shady trees, grassy, open areas with water features including three lakes, small rocky waterfalls and fountains. 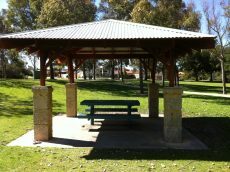 You could also choose to have your ceremony in the quaint gazebo. Note that there are no public toilets. I started looking for more information on this elusive location, and found a wedding photographer that had indeed taken beautiful photos in the park and I immediately fell in love with it. It really had it all. The feature I was most attracted to though, was the amphitheatre; that was exquisite. So without the need for elaborate decorations, the amphitheatre was lovely just on its own. 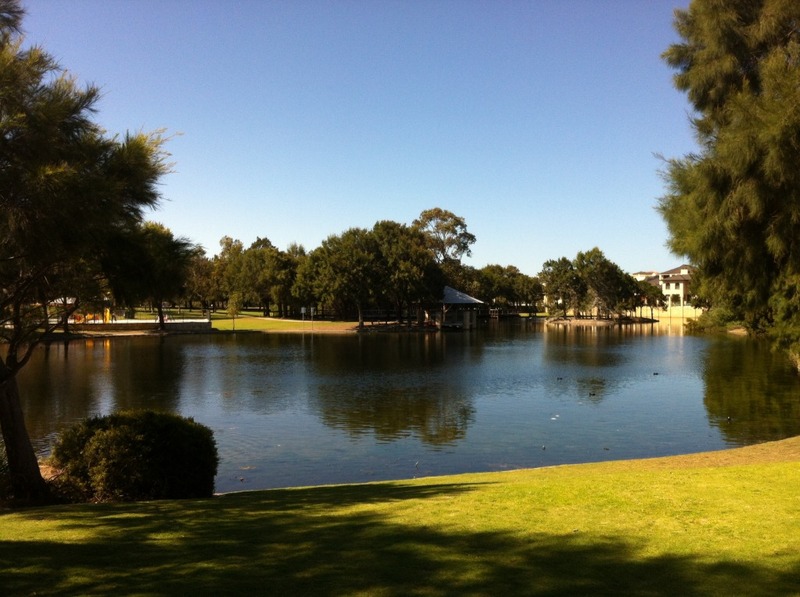 With the juxtaposition of the bush and suburbia, it was perfect.